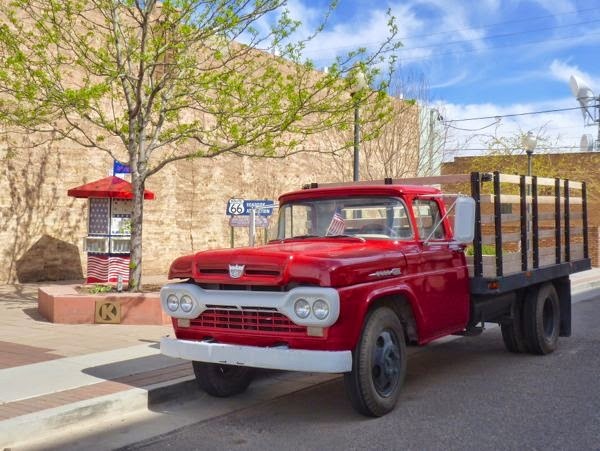 Visited Standing on the Corner park in old downtown Winslow. The park can be found at Kinsley & 2nd St, right on the former US-66. It has a statue of a guy with a guitar, a mural, and of course a flatbed Ford. I read that The Eagles group provided the funds for the park. There’s a shop across the street selling memorabilia, and a Rt-66 diner down the street. One reason for stopping there was to top up the gas and propane. It turned out the propane place had closed down. So, after gassing up, it was onward to Flagstaff where I did find some propane. It does have a certain rhythm to it. Not a major site, but it did remind me to take it easy on my travels. 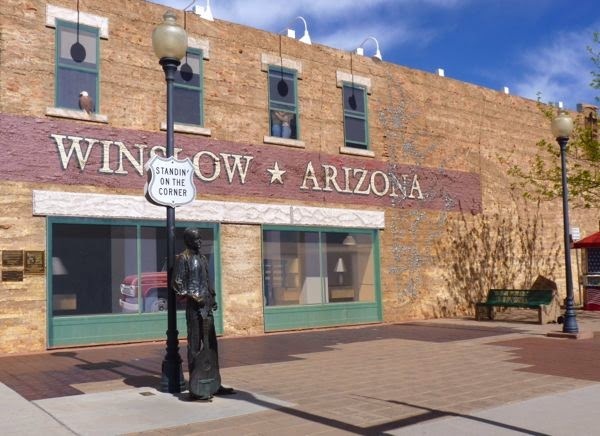 We always enjoyed a visit to Winslow and Flagstaff is a place we LOVED!!! Didn’t spend much time in either place; just passing through. Yeah, same here. I stroll around the neighborhood is worthwhile too.